Sunny Cuddles is one of our most popular life size 5ft (60in) teddy bears with his extra soft and snuggly mocha brown fur and huge huggable body – and this year he’s ready to be your Valentine’s Day Teddy Bear! Sunny has warm brown eyes, a soft black nose, and is wearing a cute bow tie. He also comes with a heart pillow for the person who holds your heart. Our beautiful, soft, plush and cuddly red heart pillow with “Happy Valentine’s Day” embroidered into an intricate heart design on the front and “I love you” underneath comes with this bear to make your gift extra special. 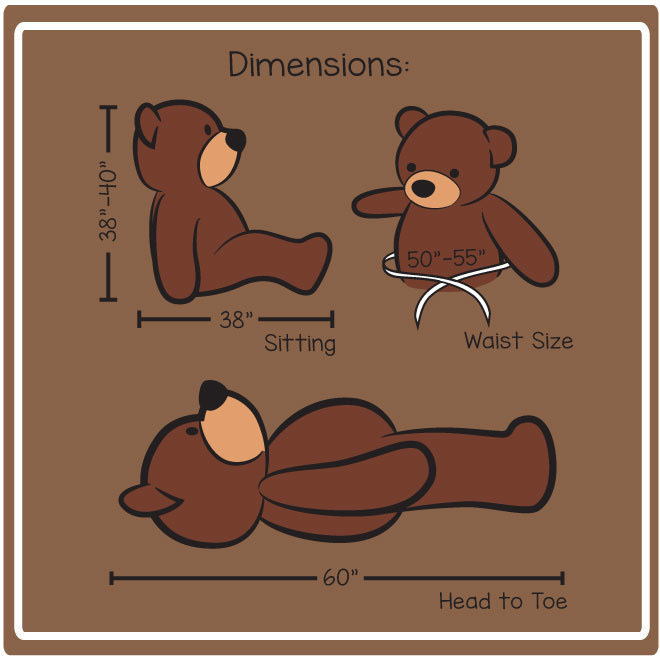 The pillow is not attached to the bear, but is a loose accessory included in the box with your bear.